Celia is the mother to our girl Ch. 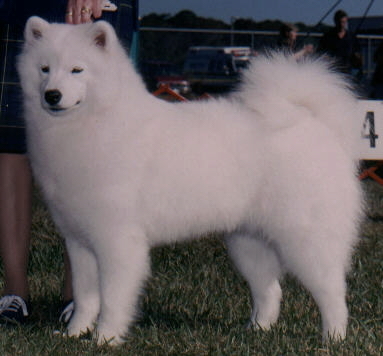 SnowSong's Caprice In-C-Major, grandmother to Ch. SnowSong's Hands to Heaven and grandmother to SnowSong's Pearl Moon. Celia has produced 3 three champions.